In Fallout 3, there are two things you must have for a super stealth character. The Silent Running perk, which starts being available at level 12, is one of them. It allows you to sneak-run without being any more detectable than when you’re slowly sneak-walking. This eliminates a vast amount of tedium when it comes to sneaking up on or sneaking past enemies. 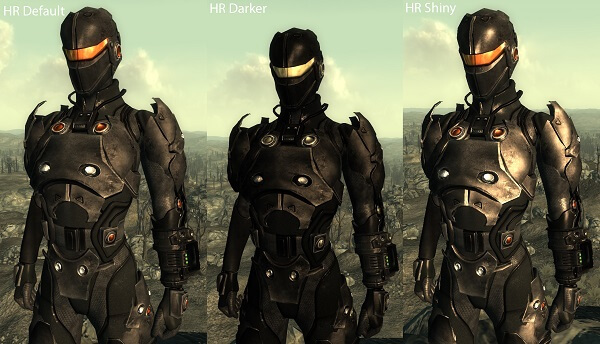 The other thing you need for a super stealth character is the Chinese stealth armor. It’s not as powerful a cloaking device as stealth boys are, but it is constant-effect, and you can always pay to have it repaired (or repair it yourself with recon armor) if it gets too damaged to use. As long as you’re wearing it and crouched, you’ll have a stealth field around you that’s very hard for anyone to penetrate. The main ways to get yourself detected are crouch-running without the Silent Running perk, firing off noisy weapons like shotguns, and brushing up against people, so be careful to avoid doing any of that. To get the Chinese stealth armor, install the Operation: Anchorage game add-on and finish its quests, then check the shelves in the armory. Devastating sneak attacks with melee weapons will be by far your most powerful combat tactic, so get your Melee Weapons skill up high and get some powerful melee weapons to use. Jingwei’s shock sword (also an Operation: Anchorage reward item) is a good one, but the shishkebabs that you can make at work benches are more powerful, especially if you get the Pyromaniac perk. The auto axe and infiltrator weapons that you can get from the Pitt add-on game are also great stealth-friendly weapons. For best results, get the unique infiltrator called the Perforator by retrieving 90 steel ingots for Everett in the mill. The alien blaster is a good noisy sneak-shooting weapon since it does so much damage and always scores critical hits, but weapons that fire multiple projectiles (especially combat shotguns) are even better as long as you don’t use V.A.T.S. for your sneaky shot. If you do use V.A.T.S., that’ll ruin the projectile damage multiplier for some reason (a glitch, maybe). For maximum effect, get the Terrible Shotgun from Smiling Jack at Evergreen Mills. You can really put down some toughies with it! The next best weapon is Paulson’s Revolver from the Mothership Zeta add-on game. When you level up, remember that your most important skills are Sneak, Melee Weapons, Small Guns, Repair, and Lockpick. Consider those your major skills. Your minor skills include Medicine, Science, and Explosives. On your first few level-ups, put most or all of your skill points into your major skills. Once they get to 50 or so, you can start putting more points into your minor skills.